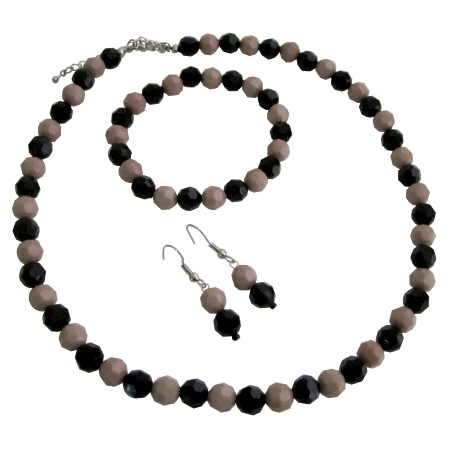 Elegant & stylish this pretty Mocha & Black multi-faceted beaded set adds an instantly co-ordinated finish. It also makes an ideal gift including necklace bracelet & earrings which can be worn together or separately for your own unique look. Enjoy celebrity look with our new collection of stylish wedding prom wedding jewelry set. This fashion jewellery is a must have for fashion savvy this beautiful set perfect for bridesmaid gifts prom party bridesmaids & for other special occasions.